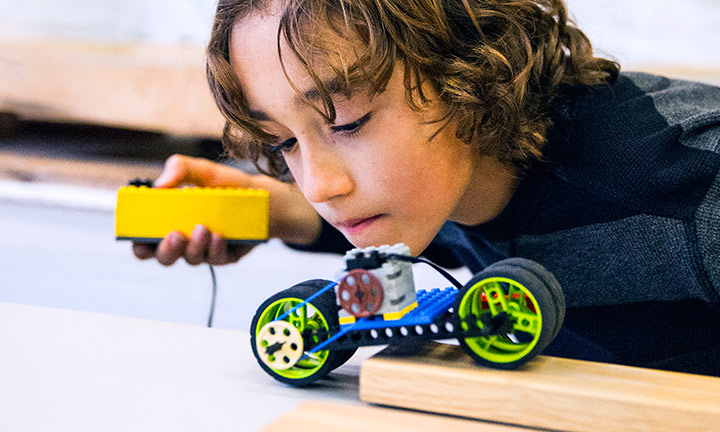 Build robots with LEGO bricks and make them move with powered gears. Engineer amazing robot feats with Play-Well Teknologies. Registration required, ages 7 and older. This event is part of Boulder Computer Science Education Week, December 1-8, 2018. Create apps. Code robots. Design stories. Explore new technologies, new programming languages and environments, meet robots, try coding, engage with problem solving and gadgets. Meet extraordinary people of all ages doing amazing things during Boulder CSED Week. Boulder CSED = free Computer Science Education programs for everyone at your library, school and tech partner organizations. We have code at our fingertips as we drive our cars, check the news on a laptop, or message a friend with our cell phones. Boulder CSED Week invites learners of all ages (adults, school aged kids, and even pre-schoolers) to consider code and create with it! Experience robots, and control them with code, make a block based program or write out coded instructions, learn how to code a new device or make an app, visit with a robot at story time, and more! All of Boulder CSED Week’s program are free and open to the public. Programs are hosted by local experts, educators, and makers, and inspiring technologies offer pathways for code-learners of all levels of experience. Some programs ask for pre-registration. Join us - create with code for this year’s Boulder CSED week! Volunteer. Present. Build, test, experiment. Solve tricky bugs. Be a code creator! We are delighted to host programs with these awesome partners who volunteer their time for Boulder CSED 2018! We're grateful for the sponsorship generosity of ROBAUTO, Texas Instruments, Makey Makey, Bitsbox, Scratch, Workbench, Parallax, ArcBotics, Google, BrieBug, SparkFun, Galvanize, BrieBug, FitBot and the Boulder Library Foundation for making CSED Week possible!